June Shoe Bloom! 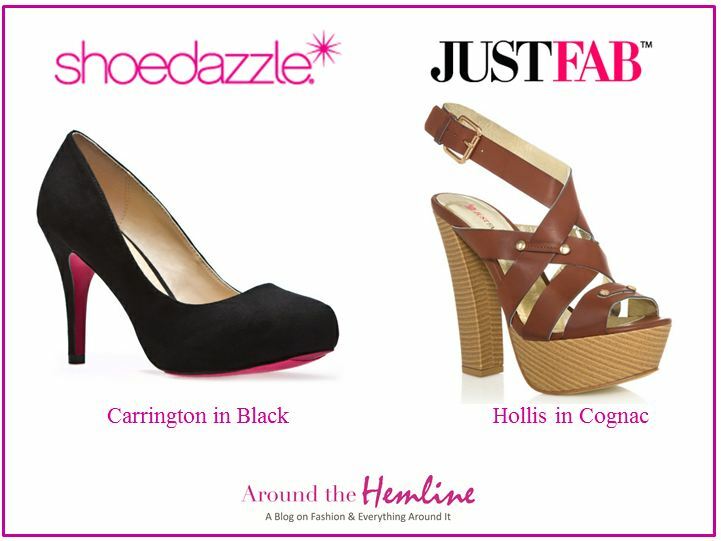 Shoedazzle and JustFab Shoe Picks! It’s the First of the Month! Which means rent is due, a new Photo-A-Day monthly challenge, or for shoe fanatics, it’s a new showroom! If you aren’t familiar with Shoedazzle and JustFab, let me give you a brief description of these fabulous personalized shoe stylist programs! Sign up with Shoedazzle or JustFab by answering a few style questions (favorite actresses, designers, shoe styles you’re interested in, etc.) and your answers create your personal “Showroom” or “Boutique” that features the season’s trendy’s shoes, purses and jewelry. All items are $39.95 and include free shipping and easy returns. New selections are put in your showroom/boutique every 1st of the month! You are not obligated to make a purchase so if don’t see anything you like then you can request new selections or visit them next month for new selections (FYI, be sure to “Skip a month” on JustFab before the 5th of each month so you don’t get automatically charged $39.95, which becomes a credit for future purchase)! For June, I decided to make a some purchases on both sites since it a new month always entices me to add to my already crowded New York closet. Speaking of New York, I learned that it is virtually a foot-ache to strut around in 4-inch pumps in the City. I also loathe of carrying flats around after work and changing before entering every lounge and restaurant so I LOVE that Shoedazzle‘s Signature Sole line (pink bottom soles!) have kitten heels now! These heels have a comfortable heel height and is my happy medium! Since Summer is officially here, I needed a good comfortable heel (almost sounds like an oxymoron) but can be worn casually with shorts, capris, sun dresses, jeans, and anything else in my closet. I found JustFab‘s Hollis was perfect for the job! The thicker heels provides more support and stomps through the cracks of NYC sidewalks and the platform front keeps from breaking your ankles in an uncomfortable arch! I love the Cognac brown color since it can be worn as a neutral piece to your outfit! If you would like to join Shoedazzle or JustFab (or both, it’s okay, shoe fanatics don’t judge), then click on the links below! Enjoy and have an gorgeous summer! Great post! Have you tried ShoeMint or Sole Society by any chance? Would love to hear your thoughts… According to this site, JustFab and ShoeDazzle are by far the best, but I was wondering if you’ve tried any others.